Here are 2 recipes with a healthy twist so you can enjoy any holiday or party while staying healthy and on track with your weight goals. 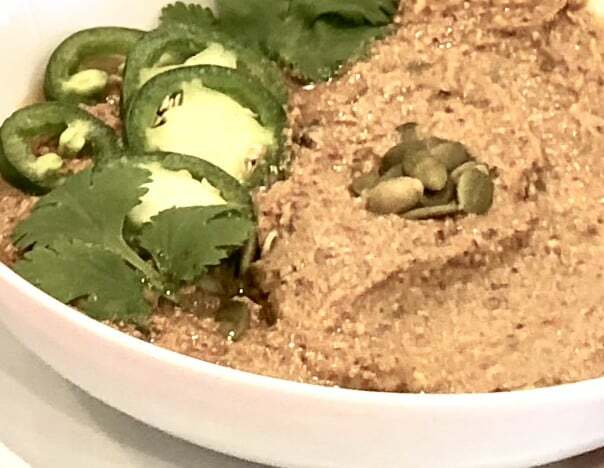 If you want to learn why these recipes are so good for you, watch my TV appearance on Fox News. CLICK HERE TO WATCH. Think of this as a healthier version of the traditional Margarita which uses a lot of sugar in the form of syrups and mixes. 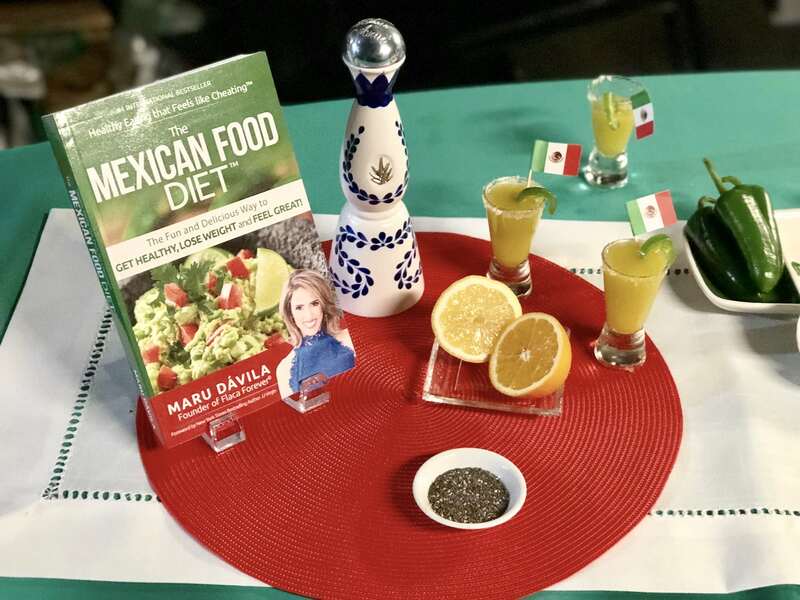 In my version, I use 1.5 ounces of tequila and mix in 3 ounces fresh lemon juice, 3 ounces of fresh orange juice, 1 tablespoon of chia seeds and 1 jalapeño (take out the seeds and the vein). My shooters are also loaded with vitamin C from the lemon and orange juices (25 percent of your daily requirements in 1 shooter) and antioxidants to boost the immune system and get healthier, younger-looking skin. I made them even healthier by adding chia seeds to provide fiber and protein. This Mexican grown seed also helps reduce the impact on blood sugar and insulin, which can prevent fat gain and disease. Add first six ingredients to a blender and blend on high speed. Pour some sea salt on a plate. Use a lemon half to moisten the rims of the shooter glasses, then dip the rims in sea salt. Pour the blended mix in the shooter glasses. Decorate with a slice of jalapeño and serve cold. The perfect trifecta. Plant-based protein (9.5 g. per serving) + healthy carbs with lots of nutrients and fiber + healthy fats. This combination ensures satiety and stable energy while supporting weight loss or weight maintenance efforts. And the resistant starch in beans is powerful for balancing your blood sugar, helping you maintain stable energy, reduce your appetite and prevent fat gain. The resistant starch is also very good to help you get rid of toxins and to feed the good bacteria in your gut. Toast the pumpkin seeds in a pan over medium heat, tossing occasionally, until lightly golden. It takes about 5 minutes. Don’t let it burn. Set aside. Chop the shallots, jalapeño and garlic. Heat the first olive oil in the list in a medium pan until shimmering. Don’t let it smoke. Add the shallots, jalapeño, garlic and sea salt to taste. Cook over medium heat, stirring occasionally for about 5 minutes. Add the tomatoes and beans and cook over medium heat for another 10 minutes, stirring occassionally. For the tomatoes, an alternative is to roast them in the over for 20 minutes at 420 F with a little olive oil and sea salt. They will taste better but it takes a little more time. Let the beans mix cool and the tomatoes if you roasted them. When cool, add them to a blender or Nutribullet. Then add the toasted pumpkin seeds. All should be cool before you blend. Add the parsley, cilantro, lime juice, olive oil, and lemon zest to the blender. Blend everything until smooth. Season with sea salt. Serve in a bowl and garnish with cilantro and jalapeño slices. Enjoy with vegetables cut like chips such as jicama, bell peppers or any other vegetable of your choice. 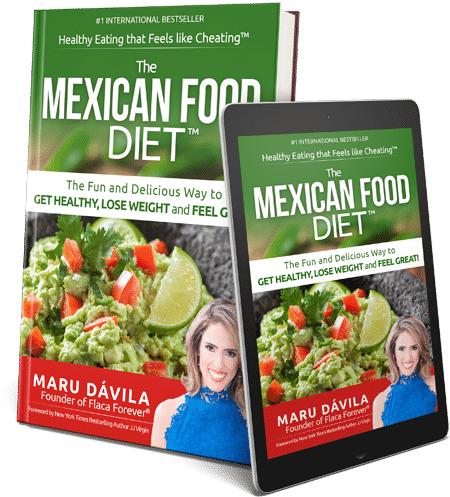 Or you can get a taste of my book by CLICKING HERE to get my FREE book with some of the delicious and nutritious Mexican Food Recipes from the bestselling book. 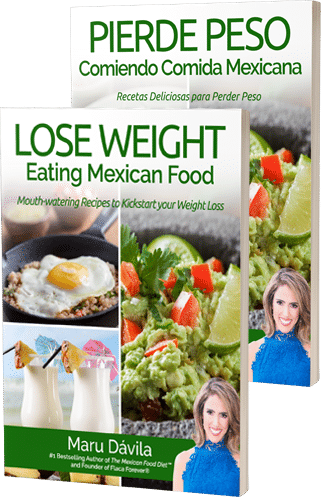 Find the free book here: http://mexicanfoodweightloss.com It is available in English or Spanish.